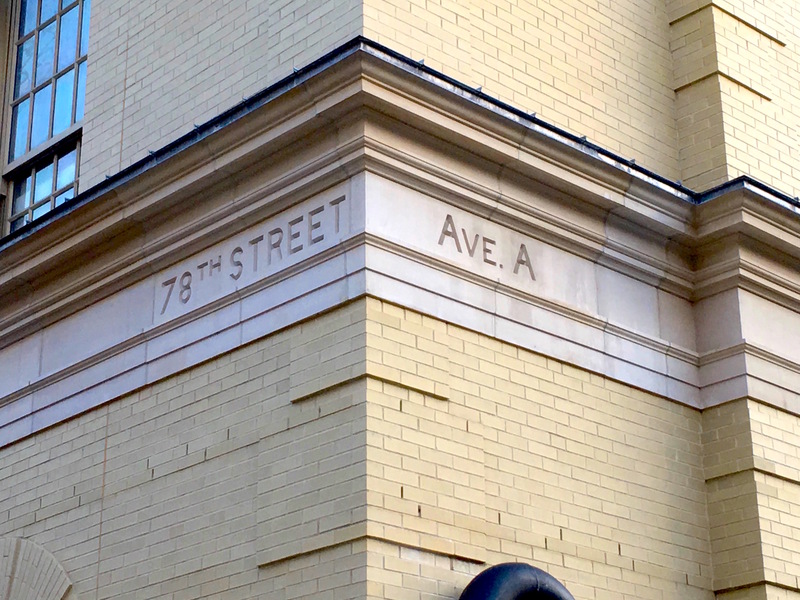 Contemporary New Yorkers know Avenue A as a downtown-only street spanning 14th Street to Houston. 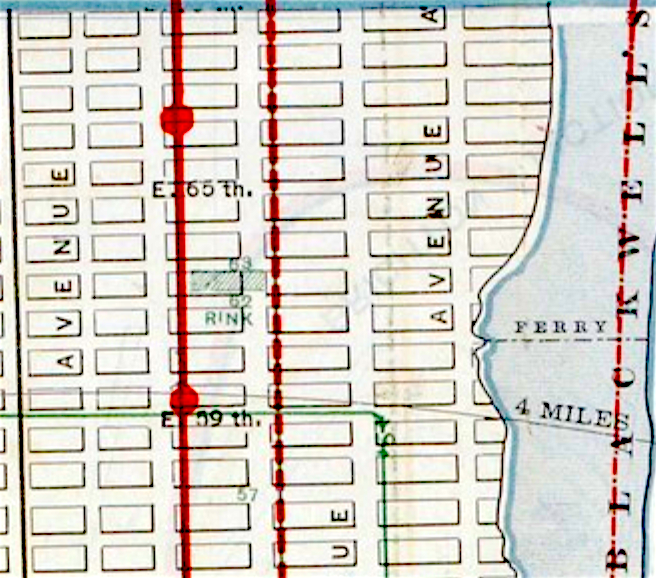 So it’s a shock to the system to be faced with evidence that in the 19th and early 20th century city, Avenue A actually picked up again and ran 34 blocks through the Upper East Side, from 59th to 93rd Street. Proof, aside from several old Manhattan maps? (Like this one, from the 1870s). Check out the address engraved into the corners of P.S. 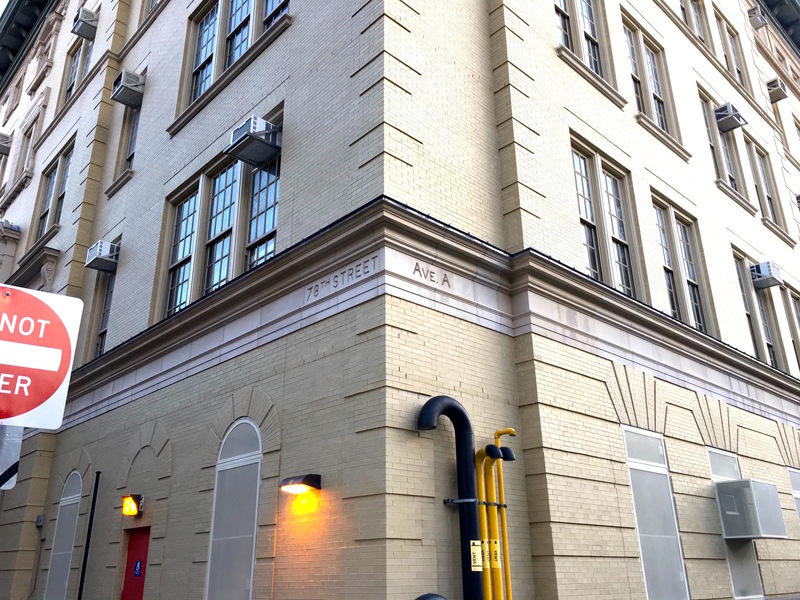 158, an elementary school on today’s York Avenue between 77th and 78th Streets. “Ave. A” it clearly reads. And it should, because when the school opened in the 1890s, this was Avenue A.
York Avenue didn’t get its name until 1928, when the city officially decided to rename Avenue A uptown in honor of World War I hero Sergeant Alvin York (who was actually from Tennessee, but was feted by the city after the war ended). The renaming had another purpose: It was hoped that a new name would be “symbolic of the rehabilitation of the East Side,” according to a New York Times article. As far as I know, this is the only remaining vestige of Avenue A’s uptown stretch.